Good day to you. I recently had the privilege to guest blog on Claire Baker’s blog: So what CAN you eat?. Claire Baker is a wonderful advocate of celiac and glutenfree and I hope you check out her blog. Please read more about Claire Baker via her biography: About Claire Baker. Via Twitter, here’s how you can reach Claire Baker. Claire asked me to guest blog on the subject of a non-compliant, diagnosed celiac kid. Little did she know, that non-compliant diagnosed celiac kid was me. 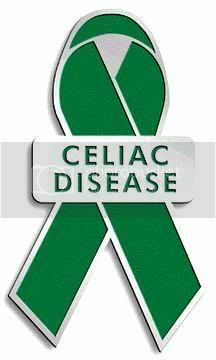 May is Celiac Awareness Month. For my part, I’m GIVING AWAY electronic copies of my new cookbooklet, So What CAN You Eat? Gluten-Free Paleo Vegan (mostly) Recipes for Health and Weight Loss. (It’ll be for sale at the Amazon Kindle Store later today.) It has 19 fast, easy, nutritious, gluten-free recipes plus tips and strategies to support healthy living.To receive a copy, sign up for my mailing list at the home page of the website and you’ll receive an email with the link for the download. In addition, I will be doing a guest “blog” later in the month at http://iamjtheblog.wordpress.com/. More details to follow. Good day to you. It’s March, therefore it’s Autoimmune Disease Awareness Month. Firstly, what are autoimmune diseases and what are their symptoms? Here’s a link outlining the definition of what those autoimmune diseases are: http://url.ie/e84j. Additionally, here’s a great link which can help educate you in regard to autoimmune diseases and symptoms: http://url.ie/e84h via @NativeRemedies (https://twitter.com/#!/nativeremedies). Now that you’re aware of what autoimmune diseases are, I’d like to bring to your attention on how autoimmune disease not only affects celiacs (see associated link here: http://url.ie/e84a), but others with other autoimmune diseases. What are those autoimmune diseases? Here’s a link to a short list: http://www.niams.nih.gov/Health_Info/Autoimmune/default.asp. Note there are many more diseases associated as autoimmune. If you are interested, you should look them up on the Internet via the Search Engine of your choice. Many people think gluten has an affect on exacerbating autoimmune disease symptoms. Here’s an example via the following link: http://url.ie/e84p. If you are celiac, or otherwise survive other autoimmune diseases, please free to forward this post to educate others. In fact, I implore you to. Please advocate Autoimmune Disease Awareness Month – March. Thank you. 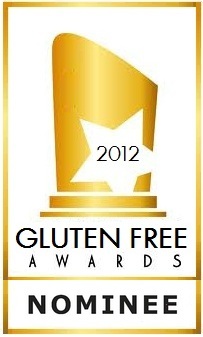 Research, educate, and advocate all celiac and gluten-free – & autoimmune disease for March.